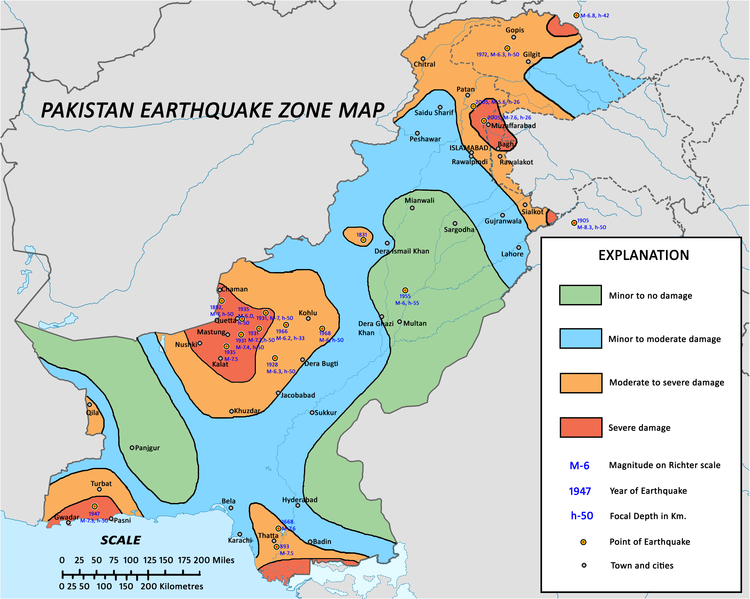 History of Earthquakes in Pakistan – In detail! Aftermath of Kashmir Earthquake: Common scene during Quakes! The Islamic Republic of Pakistan has faced a lot in its 64 year life, both in terms of man-made as well as natural disasters. Pakistan faces a severe threat from natural disaster but which disaster is the worst for Pakistan? Well, its earthquake. History has shown us that Pakistan is indeed situated near highly active fault line that could put risk to more than 170 million people living in the country. What are the precautions needed to avoid earthquake? The first step of earthquake safety precautions is to be sure that the building in which you are living, meets the earthquake construction requirements. Arrange all the cupboards of your house in such an order that the heavy items are stored in the lower racks. Thus you can ensure that those heavy items will not be thrown off like projectiles at the time of an earthquake. Secure the cupboard doors with latches, so that they do not open during an earthquake and prevent things kept inside them from falling off. Objects in your house like refrigerator, bookcases, air conditioners should be fastened to the wall properly, so that they can withstand maximum tremors. Keep hanging objects like lamps, mirrors, picture frames, hanging plants away from beds. Also make sure they are anchored properly, to prevent their fall. Fire may erupt inside the house after an earthquake. Hence, the fire extinguishers on each floor of the building should be strategically located, so that one can easily access them as and when they are required. Always keep an earthquake survival kit ready with you. At least one member of the family should have good knowledge of first aid measures which will help if someone gets a bad injury. This is important because the medical emergency services often gets overloaded after this kind of natural disaster. Even many of the medical equipment may not be in working condition after the incident. One of the most vital aspect is earthquake safety for kids. For this, you have to train them about the do’s and don’ts during an earthquake. Talk to them about how it feels when earthquake happens so that they can recognize it early. Teach them how they can seek protection by going under a desk or a table. Lets take a look at the earthquake activity in Pakistan! Pakistan: A home to Earthquake! Earthquake activity in Pakistan is mainly concentrated in the north and western sections of the country, along the boundary of the Indian plate and the Iranian and Afghan micro-plates. The Chaman Fault runs along Pakistan’s western frontier with Afghanistan from Kalat, in the northern Makran range, past Quetta and then on to Kabul, Afghanistan. A fault also runs along the Makran coast and is believed to be of the same nature as the West Coast fault along the coast of Maharashtra, India. An active subduction zone exists off the Makran coast. This zone forms the boundary between the Arabian and the Iranian micro-plate, where the former subducts or dives beneath the latter. Thrust zones run along the Kirthar, Sulaiman and Salt ranges. There are four faults in and around Karachi and other parts of deltaic Indus, and Makran coast. The first is the Allah Bund fault that passes through Shahbundar, Jah, Pakistan Steel Mills, and runs through eastern parts of the city and ends near Cape Monz. This fault, in fact, has caused extensive damage in the past many centuries in the deltaic areas. The destruction of Bhanbhor in the 13th century and damage to Shahbundar in 1896 were caused by this fault. The other one emanates from the Rann of Kutchh. The third one is the Pubb fault which ends into Arabian sea near Makran coast and the last one is located in the lower Dadu district near Surajani and falls in the vicinity of Karachi. 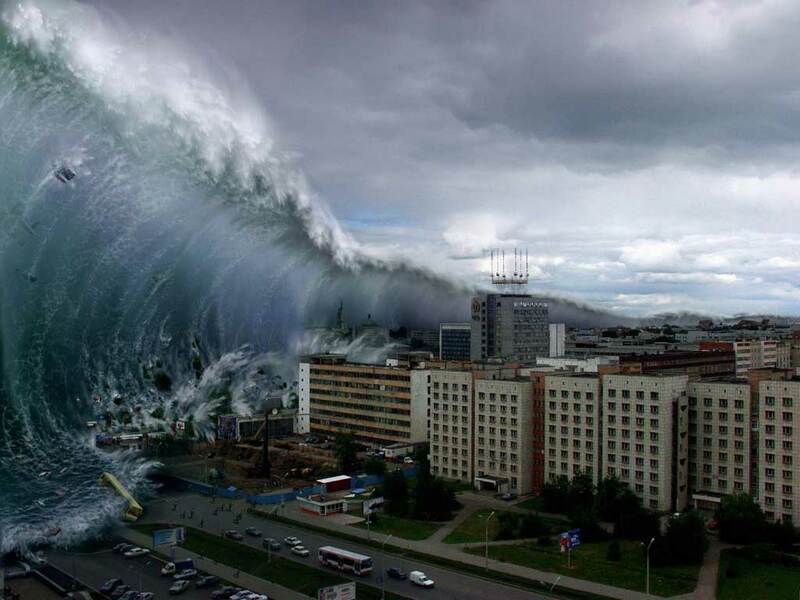 Tsunamis or tidal waves have also affected the coast of Pakistan. The worst case was in 1945 when an earthquake of magnitude 8 struck the Makran coast, waves as high as 12 meters were reported. Almost all earthquake have occurred in Balochistan province but due to less population in the province and lack of construction, Balochistan has remained fairly safe from these earthquakes, not to mention that Balochistan is the most earthquake-prone region in the country. Apart from the Balochistan quakes, a total of 3 earthquakes have jolted the Sindh province with 2 reported from Sindh coastal area while the another hit Gujarat-Sindh border. It is also worth mentioning that none of these earthquakes have been documented except for the 1819 earthquake in Sindh-Gujarat border. It occurred on June 16, 1819, an eye-witness account by the British officers, informing that 7,000 buildings were demolished, 1,150 person were buried alive in the ruins. A shallow stream about 7,000 feet (2133 metres) wide was formed and Rann which was previously disconnected with sea was filled with sea water spreading to large area. Sindri fort 15 feet high above water level, and a Talpur border check-post (now in India), was submerged nearly totally and custom officers on the fort wall were rescued by a British ship. Total displacement of Allah Bund was 30 feet uplift and 10 feet depression due to vertical slipping at the fault plains. The earthquake is reported to have disbursed normal drainage pattern of Rann of Kutch and river Indus and the Indus river branches to the sea changed their course as can be seen from coastal maps of 1817 and 1830 AD. Due to 1819 earthquake Shah Bunder port was abandoned and two new creeks namely Kukaiwari and Kadewari came in to existence between 1819 and 1837. Overall the earthquake killed some 3,200 people. Coastal area of Sindh is in active seismic zone. There is geological fault from Ahmedabad and Bhuj and Ormara along Makran coast and another geological fault from Ormara to Gulistan about 80 kms west of Quetta to Jalalabad and then turning eastwards under Himalayan foot hills through Kohistan towards Haryana in India and beyond, it is called Karakoram fault. Another one is located Abbottabad, Mansehra, Kohistan and Swat district. 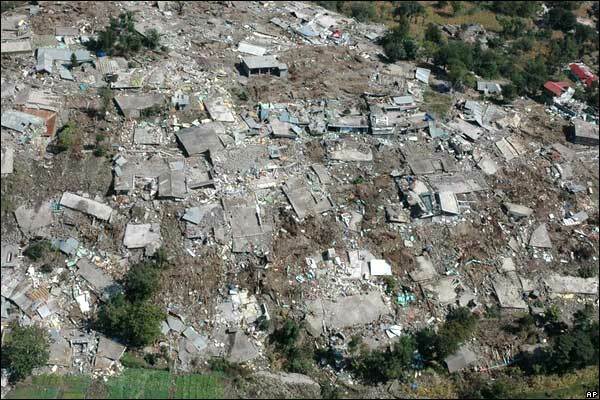 The 2005 earthquake was more intensive than 1974 earthquake, which had created havoc in Pattan, Duba, Palas and other villages. 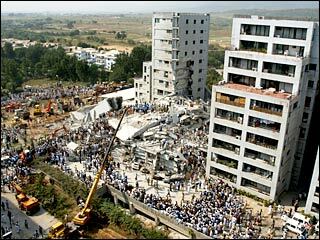 The first causes earthquakes along the northern Gujarat, Kutch, Rann of Kutch and affects Sindh coast and Karachi. In 1945 earthquake with epicentre in Makran between Pasni and Gawadar, Karachi also got shocks and some islands along Baluchistan coast disappeared and new ones emerged. The 2003 earthquake destroyed many houses in Ahmedabad, destroyed almost the whole town of Bhuj and affected coastal area of Sindh including damage to some buildings in Nagar Parker, Islamkot, Mithi, Diplo and Badin and bridges on roads south of Badin. At 3:02 am PST at Quetta, a powerful earthquake rocked the city and surrounding areas. The earthquake had a magnitude of 7.7 and anywhere between 30,000 and 60,000 people died from the impact. This ranks as one of the deadliest earthquakes that hit South Asia. The natural disaster ranks as the 23rd most deadly earthquake worldwide to date. In the aftermath of the 2005 Kashmir earthquake, the experts cited the earthquake as being amongst the four deadliest earthquakes the South Asian region has seen; the others being the Kashmir earthquake in 2005, Pasni earthquake in 1945 and Kangra earthquake in 1905. This earthquake is the worst natural disaster in Pre-Pakistan era. 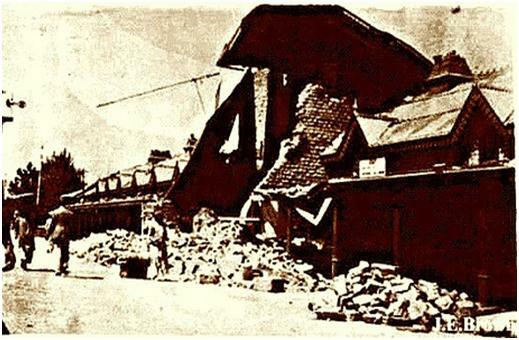 On 28 November 1945 at 1:56 am (local time), a massive earthquake, off Pakistan’s Makran Coast generated a destructive tsunami in the Northern Arabian Sea and the Indian Ocean. Its epicenter was at 24.5 N 63.0 E., in the northern Arabian Sea, about 100 km south of Karachi and about 87 km SSW of Churi (Balochistan), Pakistan. The earthquake was of 8.1 magnitude, major quake. A total of 4,000 people were killed. This Earthquake was a magnitude of 6.2 and hit Hunza, Hazara and Swat districts of northern Pakistan on December 28, 1974. The quake had a shallow focal depth and was followed by numerous aftershocks. An official estimate of the number killed was 5,300 with approximately 17,000 injured. A total of 97,000 were reported affected by the tremor. Most of the destruction was centred around the village of Pattan, located about 100 miles north of the capital city of Islamabad. The village was almost completely destroyed. Landslides and rock falls contributed to the damage. A 7.6-Richter scale quake struck the Kashmir region on the India-Pakistan border and parts of northwestern Pakistan on 8 October 2005. 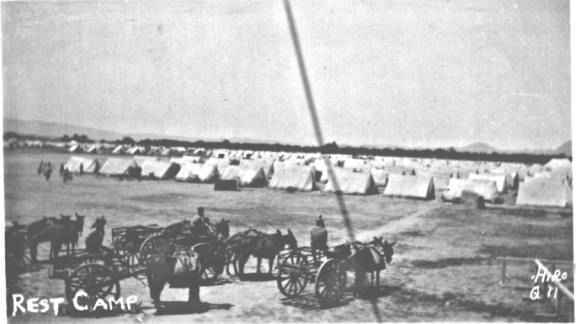 According to official figures, at least 73,000 people were killed and more than 3.3 million made homeless. Work even continues today to rebuild the damaged infrastructure. This earthquake has been blamed for the economic down fall of Pakistan as in 2005 Pakistan’s economy was rising. The country was being considered to be placed on the rising economies of Asian, the credit goes to the Musharraf-led government but the earthquake hit the back bone of Pakistan and eventually and sadly the next year, Pakistan was placed on the failed states of the world at number 9. An earthquake of magnitude of 7.2 rocked south-western Pakistan. The United States Geological Survey reported the earthquake took place on January 19 at 01:23 am PST. The depth of the earthquake was reported to be 84 kilometres. US seismologist, Don Blakeman, said the earthquake depth was revised to be deeper than originally thought – potentially limiting the effects. Overall the earthquake was felt in India, Iran, Bahrain, Afghanistan, Oman, Qatar and United Arab Emirites. 2 women died due to this earthquake in Pakistan due to heart attack. From the shores of Arabian sea to the great heights of K-2 : Earthquake threat persist! While Karachi lies close to a major fault line, it is situated on or close to four minor faults. The first is called the Allah Bund fault and it passes through the coastal town of Shah Bundar, the area around Pakistan Steel Mills and runs through eastern parts of the city ending near Cape Monz. Another fault lies in the Rann of Kutch near Sindh’s southeastern border with India. The third is called the Pubb fault which lies near the Mekran coast west of the city while a fourth is located in Dadu district on the northern boundary of Karachi. Some scientists say that the geographical location of Karachi is such that a natural curve is formed near the sea-shore, as a result, the possibility for a tsunami generated in Indian Ocean to hit the Karachi site is quite remote. . Karachi is sometimes regarded as safe from earthquake while sometimes it is the opposite. Islamabad, the capital city of Pakistan sits on 5 major fault lines running through the city, all of which are capable of producing large earthquakes. The officials said that when the 1960’s government had planned to declare Islamabad the federal capital, its seismic zoning was conducted. 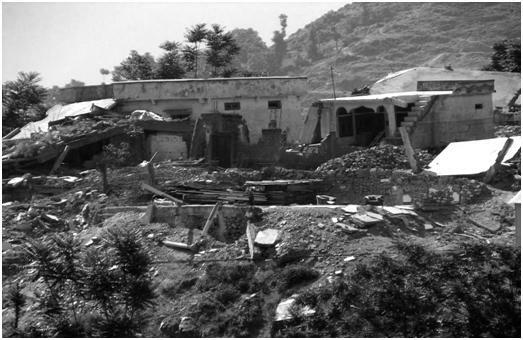 Geologists had warned the then government that Islamabad was prone to high intensity earthquakes because it was situated in an active earthquake zone. The officials said that it was not advisable to construct high-rise buildings in Islamabad. They said that no building structure higher than two stories should be allowed in the federal capital, as the earth crust in Islamabad could not sustain the weight of high-rise buildings. So Islamabad should be on alert for earthquakes. What does the future holds for Pakistan? Experts at the Geological center of Pakistan have warned that an earthquake of a magnitude of 6.5 or higher might hit Pakistan this year (2011). Although earthquakes can not be predicted but we Pakistanis must take every step to ensure that 2005 earthquake is not repeated because if that happens again then the sticks that are holding Pakistan will collapse and eventually it will be the collapse of Pakistan. All major cities of Pakistan are located on the fault line, which also crosses the centre of Margalla Hills. No matter what any one says we Pakistanis should be ready for a big earthquake in future. At least that is what history tells us!